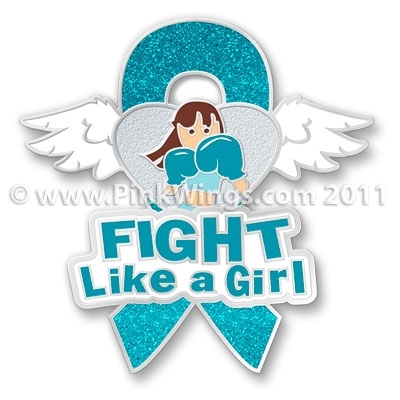 Teal represents Ovarian Cancer Awareness. This color is also a symbol for cervical and uterine cancers as well as sexual assault, polycystic ovarian syndrome, and tsunami victims. This pin is 1 1/4" tall and has a military clutch back. It is exclusive to the Pink Wings website. Please contact me if you are interested in purchasing these pins in large quantities at bulk pricing.